The website is an essential element of your corporate footprint over the internet. The evolution of technology and the emergence of innovative techniques in website design and development have created severe competition. Presently, the design of your website can make or break your corporate identity within 50 milliseconds. Businesses that are looking for stability in the 21st Millennium, they should not forget to get the latest web designing trends incorporated into their websites. Not only this, highly competitive markets such as the Middle East and Gulf countries as well as European region require the businesses to ensure their digital existence. Surprisingly, 46% of people don’t trust the business companies that don’t have their website. Therefore, it is better to create a professional website or blog to provide a user-friendly experience for improved conversion. However, many people underestimate the value of a perfect website layout based on modern standards and techniques. Let’s understand this scenario with the help of an example. Just imagine a website divided into multiple small boxes having a tiny font with blur pictures. What did you get in mind? Does your imagined visual is exactly the same? You may find many such websites over the internet having the same ingredients of design failure. Ideally, this is no web layout or design at all. 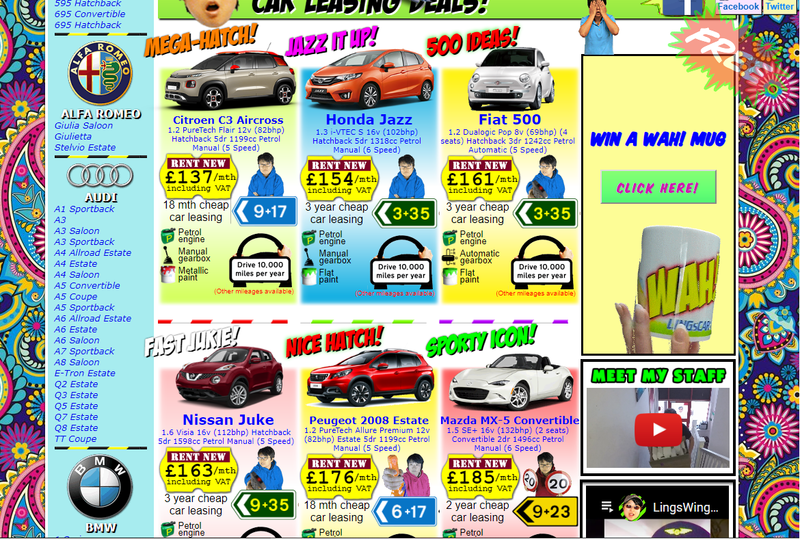 This type of site can potentially give the visitors headache leading to higher bounce rates. Hopefully, you already got an idea about the web pages mistakes and flaws; the article is going to discuss for your awareness to improve website visitors’ experience. You may be shocked to know that internet suffers stay on a website for only 10-15 seconds to decide if they should continue reading about the products or services. Neil Patel has termed this phenomenon as the quantitative ways of measuring website performance. So, the conversion ratio is not only linked with the web content and SEO strategy, but the structure, design responsiveness and functional optimization are crucial for business success. Let’s consider the web design mistakes that should be avoided to ensure higher users’ engagement and result improved conversion. Technology has led innovation to a higher speed. Things are changing within minutes when it comes to the design of the website. So, if your website was set up 5-6 years back, and no upgrade has been done till now. You are making a big mistake. The design of your website is obsolete enough to bore the visitors. People don’t like outdated style and layouts. It is better to move on for innovative solutions to renovate your dying website. Quick Tip: Consider having a brand new website using popular content management systems including WordPress, Joomla, Drupal etc. You may also update website design through experienced web developers. It is imperative to understand that your website has the purpose of serving in the best way possible. For instance, you may want your customers to subscribe for updates or fill the contact us form. This is to encourage users to turn into customers. For this objective, a clear call of action button is essential. However, many people overlook the importance of the call to action on their websites. You must know that lack of call to action or persuasive commands directly leads to low conversion rates. Quick Tip: Get easy to fill query forms integrated into your website design for inspiring user experience. Don’t hesitate to consult with pro for web design to come up with innovative ideas. A recent survey has revealed shocking findings of website loading time and conversion rate. They surveyors have observed that approximately half of the internet surfers expect the websites to load within 2-3 seconds. Even a one second beyond this can destroy the impression of your website up to 7%. It’s because no a single person is willing to compromise on loading time. Do you have a content rich, flashy website and don’t know what makes it slow like a snail? Too heavy images, flashy animations, broken links and excessive use of plugins are a few reasons. Quick Tip: Consider the essential characteristics of a professional website before getting it designed. Besides this, you should think of acquiring experienced web designing companies in Dubai to get speedy web pages. It is because professionals have a better idea to integrate low weight and compressed design elements. Summing up, users after visiting your website take only a few seconds to decide if your business is worth able to serf their interest or not. In this way, the success of your business depends on the very fact of how your website engages the visitors. A clean, responsive design along with other essential design elements is considered the primary objects of a user-friendly website. But, this is not enough because you need to ensure seamless functionality also. Owing to this, you should not ignore hiring professional for website designs to help you influence your potential customers positively to boost business conversions. Engaging web design includes impeccable color themes and user-friendly display. Although it takes time and efforts, it gives an instant boost to business. There are certain tips to make a website look professional. You may have thought creating a blog would be the final step towards success. However, maintaining a blog is more difficult and requires due diligence regarding different aspects. Read below to know what you need to consider when creating your quick cook blog for students! Jewelry stores are fascinating and great looking website definitely catches the attention of the customers. This article has provided the essential elements which a jewelry website design must have to stay up in the competition game.